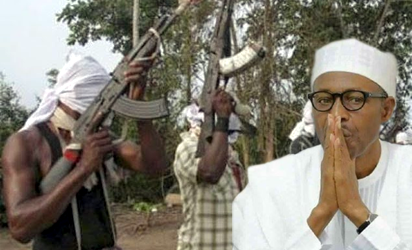 The Joint Niger Delta Liberation Force, a militant group, has threatened to attack the presidential villa in Abuja. In a statement issued on Monday, the group said it has listed key places in the country for attacks, warning occupants of the listed buildings to “vacate urgently”. Some of the buildings the group threatened to attack are the police headquarters, defence headquarters, NNPC towers, CBN headquarters, national assembly, military formations across the country, among others. Vowing to lay the foundation for the breakup of the country, the group said former President Goodluck Jonathan should not be brought into the rebirth of militancy in the Niger Delta. “The followings occupants of these buildings should as a matter of urgency vacate them immediately IN THEIR OWN INTEREST to save their lives because our fight is not for ANY HUMAN BLOOD but to destroy all those infrastructures that were built with our oil and gas monies in this country. We will make federal government and oil companies to suffer as they have made the people of Niger Delta region suffer over the years,” the statement read. “We shall fire these Missiles’ simultaneously at the night, as this will enable every Nigerian to see the movement of the MISSILES and equally to believe us of our seriousness attached to the final breakup as predicted by the United States of America (USA). The militants boasted that the deployment of war arsenal in the region cannot stop them from operating, vowing to embarrass the air force. They also warned oil companies from repairing destroyed pipelines. “We shall embarrass the self acclaimed Nigerian Air Force with their recent deployment of fighter aircraft, helicopter gunship and surveillance aircraft when at this digital age, countries are talking about missile development, and they still condescend so low of their present obsolete equipment,” they said.